“SUCCESS is the honest achievement of anything worthwhile one wants out of life.” – Sidney N. Bremer, Ph. D.
The rise of Patria Sable Corpus College (PSCC) from its humble beginning to the way it is today is not a product of a dream, but in fact, a product of the will. 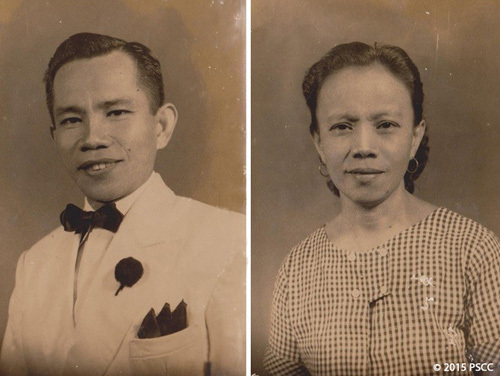 On January 20, 1947, Ms. Patria Sable Corpus with the unfailing support of her better-half, Mr. Dominador R. Corpus, known for his business acumen, founded the Sable Fashion School (SFS). This school housed in a one-room structure started offering short-term courses in Dressmaking and Tailoring to few students. Ms. Patria Sable Corpus was the only teacher-administrator. For five years, the steady influx of students interested in vocational education paved the way for the opening of other short-term courses like Hair Science and Manicuring, Embroidery and Poultry and Swine Husbandry. Mr. Dominador R. Corpus eventually headed the operations of the school and became its Director. On January 6, 1964, the school was registered with the Securities and Exchange Commission as a non-stock, non-profit corporation with the new name Sable Vocational Academy (SVA), Inc. with Mr. Dominador R. Corpus as the first Chairman of the Board of Trustees.